Peel and core all the apples by slicing halves off the center, then slicing the sides off the center. Thinly slice the apple vertically and place in a large bowl with enough room to toss and stir. Place whole cardamom seeds and cloves in a mortar and pestle and grind, add to the bowl of apples. Add the sugar, cinnamon powder, lemon juice, salt, arrowroot powder, and grated nutmeg and toss to evenly combine. In a separate bowl, mix together all dry ingredients together and then add the butter and lemon zest. Mix with your fingers until thoroughly combined, you want thick clumpy moist crumbs. 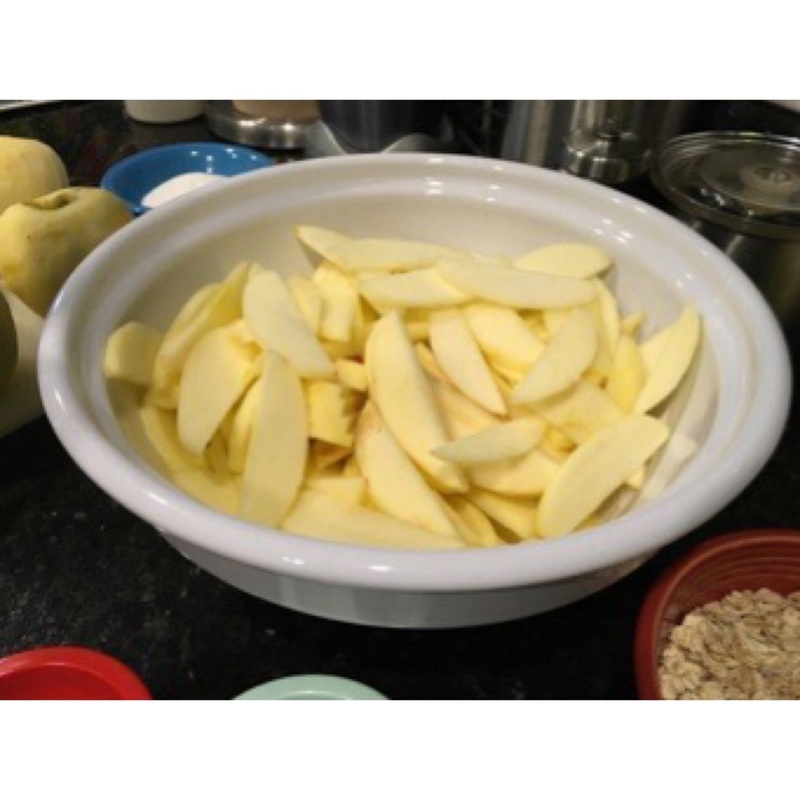 Place the apple mixture in a 9x11 casserole dish and evenly distribute the crumb topping over the top, do not compact down; you want to maintain a chunky but even consistency. Bake at 325 degrees for an hour or until the apple mixture begins to bubble on the sides and your crumb topping gains a beautiful golden brown color. Let cool for about 10-15 minutes and serve in small bowls, top with vanilla bean ice cream or freshly whipped cream if you want to go the extra mile, but it’s quite decadent as is.